Metalwork removed from the float for restoration (shaft-point metalwork). 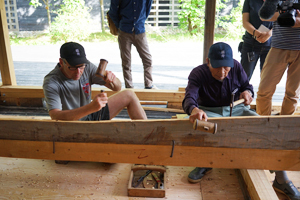 Mr. Kiyoshi TSUJI engaged in restoration work. 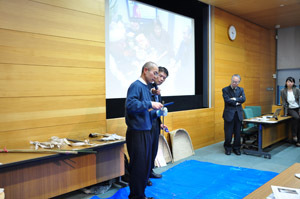 The Department of Intangible Cultural Heritage has been researching and studying conservation techniques for cultural properties. To hand down tangible and intangible cultural properties to the coming generation, it is necessary to conserve and inherit the techniques required for conservation and restoration of cultural properties, as well as manufacturing technologies for the materials and tools used for them, in addition to cultural heritage itself. 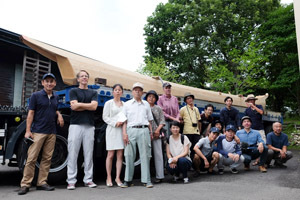 In Japan, we call these techniques “conservation techniques for cultural properties” under the Act on Protection of Cultural Properties. By selecting those that particularly require conservation measures as “selected conservation techniques,” great effort has been put into their conservation and protection. According to each nation, techniques subject to safeguarding are just a small percentage of the whole. We think this Institute should play a leading role in paying attention to the techniques not selected by the national government as subjects of our research and study. 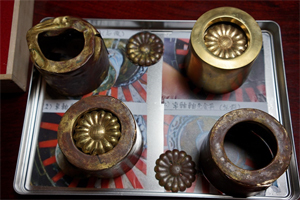 In FY 2018, we conducted a survey for Mr. Kiyoshi TSUJI, a holder of the “Hikiyama Metalwork Restoration” technique selected for conservation by the Shiga Prefectural Government jointly with the Shiga Prefectural Board of Education. 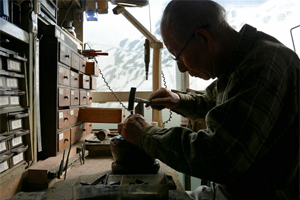 Mr. Tsuji has been engaged with restoration of numerous festival floats as a holder of the restoration technique for metalwork such as metal ornaments for floats used in the “Nagahama Hikiyama Festival” designated as one of the nation’s Important Intangible Folk Cultural Properties, also serving as an element composing “Yama, Hoko, Yatai, float festivals in Japan” inscribed on the UNESCO intangible cultural heritage list. 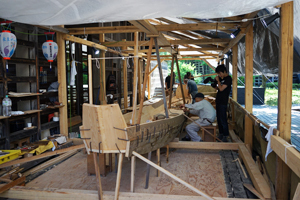 At present, he is working on restoration of the metalwork for the float of Kin-ei Town (Hogiku Float) used for the “Hino Hikiyama Festival” (prefecturally designated intangible folk cultural property) held in Hino Town, Shiga Prefecture. We have been surveying and video-recording the restoration process. 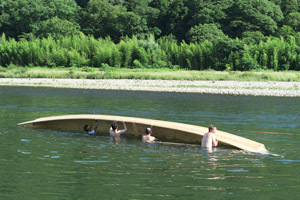 Needless to say, festival floats are essential for the implementation of the Hikiyama Festival. Accordingly, conservation of and succession to the festival as an intangible cultural property require a restoration technique for the floats. It is true that successors to such technique are insufficient. Our research and study aims not only to conserve and record the technique for the coming generation but also to highlight the conservation techniques for such cultural properties attracting less attention for their significance.